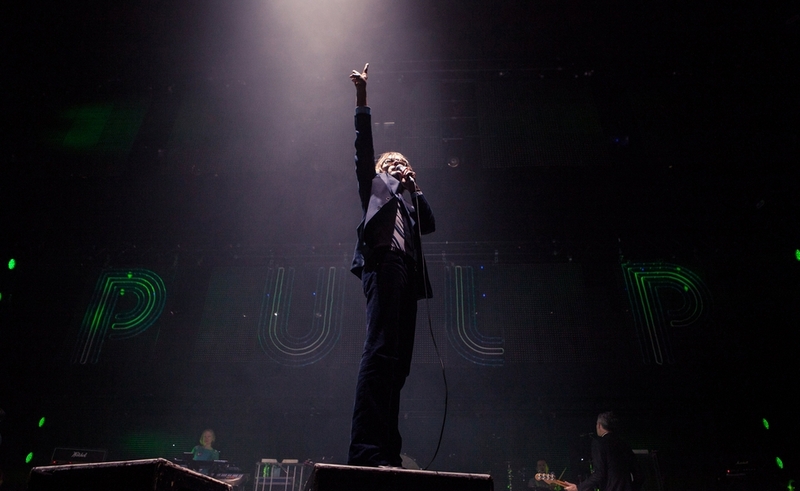 Directed by Florian Habicht, Pulp is set around a December 2012 Pulp performance in its hometown, which the film bills as “The day of Pulp’s last U.K. concert.” The film captures a band some distance away from the mania that surrounded it in its heyday. Since disbanding in the early 2000s, Pulp has had occasional reunions, which have been more about nostalgia and pleasing old fans than pressing the story forward. Cocker even likens this concert to an attempt at creating a “happy ending.” (“I know that tidying up isn’t the greatest rock and roll motivation,” he says.) But that reflectiveness works for a film that’s less about thrilling live performances—though it includes some of those—than putting the band’s history in context. Like other recent music movies, such as the Nick Cave doc 20,000 Days On Earth, and the National-focused Mistaken For Strangers, Pulp attempts to find the bigger story around its central subject. Habicht alternates concert footage with bits of the band’s history, an academic lecture on Different Class, and oddly affecting moments, like a group of senior citizens singing “Help The Aged.” There’s a sense that the band has left its mark on Sheffield as surely as the city left its mark on the band. This concert might be Pulp’s last hometown appearance, but it hardly seems like goodbye.